Whether your newborn has to stay at the hospital for a couple extra nights or for much longer, here’s how to prepare for the unexpected. The odds are on your side that your child will be born full-term and perfectly healthy. Still, about one in 13 babies in the United States spends some time in the Neonatal Intensive Care Unit (NICU). And a recent study by The Dartmouth Institute for Health Policy and Clinical Practice and the Geisel School of Medicine found that 43 percent of these infants are not even premature—they are full-term babies who need more care. 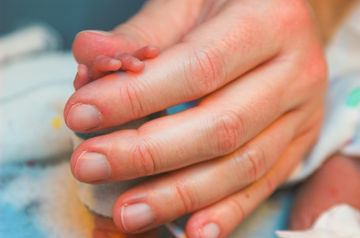 For new parents, having a newborn in the NICU can feel scary and overwhelming, so we asked top medical professionals, as well as moms who’ve been there, for their best coping strategies. RELATED: Parents Stay Connected With NICU "Babycams"